How ancient is the Bible, anyway? Which is more correct: traditional dating or revised, late scholarly dating? 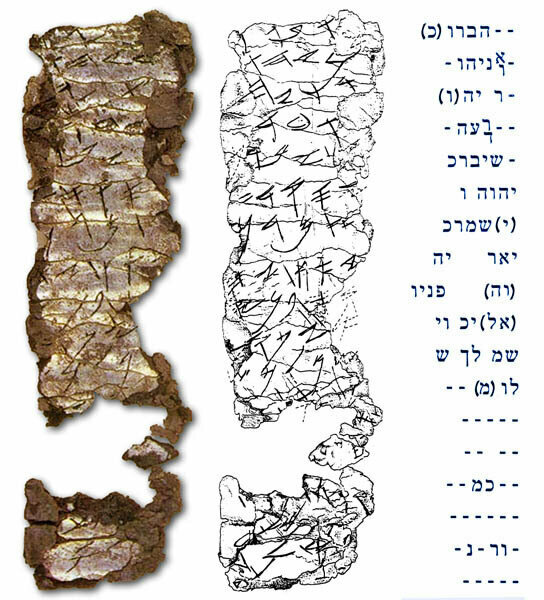 The Great Isaiah Scroll, one of the 2000 year old scrolls found at the northern edge of the Dead Sea. The dating of the Bible is a controversial topic. Traditionalists say the Torah was written by Moses; the Psalms, mostly by David; Proverbs by Solomon; the prophets—by whichever name is carried in the title. Daniel? Sixth century B.C. Revisionists say the Torah was written after the Babylonian captivity—along with everything else, really. Daniel? Second century B.C. Books of individual names were most likely written by multiple ghostwriters. This is a hot-button debate. Can we really know the answer? Just how ancient and authentic are the biblical writings? With this article we begin the first installment of a three-part series, examining the archaeological evidence, linguistic style, textual content and contemporary works related to this question. The Tanakh, or Old Testament, is divided into three main sections: the Torah (Law), the Writings, and the Prophets. For this first installment, we’ll look at the Torah. First, though, for such a subject as this, mention must be made of what has been considered the “greatest manuscript find of all time”—the Dead Sea Scrolls. They are a trove of over 800 documents, as well as tens of thousands of fragments, discovered in a network of caves near the northwest shores of the Dead Sea. These scrolls date variously between 200 B.C. and A.D. 68. They most likely belonged to the Jewish sect known as the Essenes. Particularly interesting is that this collection of documents includes either a partial or complete copy of every book of the Hebrew Bible (minus the book of Esther). That means that these works must have been composed sometime earlier than their individual dates given within the 200 B.C. to A.D. 68 timeframe. (As an interesting fact: The book of Isaiah among these scrolls is 1,000 years older than any other previously known copy!) Considering the Essenes were so isolated and reclusive, these texts must have originally been composed long before these dates in order for them to have time to filter down to communities like these. This discovery alone means that at least most of the Hebrew Bible must have been written sometime before the second century B.C. The Torah—traditionally attributed to Moses, c. 15th century B.C.—has been placed by minimalists 1,000 years later, after the captivity of Israel. The Bible is quite clear that the Torah was “penned” at the hand of Moses (e.g. Exodus 17:14, Numbers 33:2, Deuteronomy 31:9). Minimalists are quite clear that it was not. Who are we to believe? The archaeological evidence that lends itself to dating this text is not extensive. But what we do find is very interesting. During archaeological excavations on the edge of the Valley of Hinnom, not far outside ancient Jerusalem’s walls, a large treasure cache was found in a burial tomb by the team of Prof. Gabriel Barkay. More than a thousand objects were found. Most significantly were two little metal scrolls, made of 99 percent pure silver. These scrolls were painstakingly opened in a laboratory, and were found to contain portions of Scripture, notably from Numbers 6:24-26 and Deuteronomy 7:9. “May Yahweh bless you and keep you; May Yahweh cause his face to Shine upon you and grant you Peace.” –Text from the seventh-century BCE silver scroll. … the great … [who keeps] the covenant and graciousness toward those who love [him] and those who keep [his commandments …]. The Eternal … blessing more than any … and more than evil. For redemption is in him. For Yahweh is our restorer [and] rock. May Yahweh bless you and keep you; May Yahweh cause his face to shine upon you and grant you peace. King Josiah was on the scene during the middle of this seventh century B.C. 2 Chronicles 34 describes the Torah—or at least the book of Deuteronomy—as having been lost, and rediscovered at this time. This led to a great reawakening of religion in Judah. This passage explains that the Torah had already been long on the scene; perhaps it was only after finding the Torah scroll that the passages were able to be reincorporated into services such as this funeral. From this, we can see that choice passages were picked from an existing compilation of scripture, during the seventh century B.C., in order to use them for funerary purposes. This is much earlier than when they “should” have been written—particularly the Numbers portion, which shouldn’t have been on the scene for another hundred-plus years. … you shall not do [it], but worship the [Lord]. Judge the slave and the widow. Judge the orphan [and] the stranger. [Pl]ead for the infant, plead for the po[or and] the widow. Rehabilitate [the poor] at the hands of the king. Protect the po[or and] the slave, [supp]ort the stranger. A rendition of the Khirbet Qeiyafa Ostracon by Michael Netzer for illustration purposes, based on photographs of the potsherd by the Khirbet Qeiyafa project at the Hebrew University of Jerusalem, imaging illuminations of text and interpretations of faded script areas. According to Gershon Galil, professor of biblical studies at the University of Haifa, the discovery provides compelling evidence that the biblical texts were written “hundreds of years before the dates presented in current research” (emphasis added). There are numerous other evidences for an early, traditional date of writing for the Torah. These come especially from a textual examination. The Torah is written in very early Hebrew style—it would have been a remarkable feat for a late postexilic fraud to forge such writing. Furthermore, any late authors would have had to have an extraordinary knowledge of life and customs during the early periods, through Abraham’s time and up to Moses and Joshua. Through archaeology, we are only now discovering the myriad of ancient customs unique to that time period. Take, for example, the early references in Genesis regarding a handmaid being given as a wife. This was an accepted early practice during Abraham’s day—if a wife was not able to bear children for the husband, a handmaid could be taken in to produce an heir. This tradition fell out of use, however, in the later periods. The writer must have somehow known about this custom for this time period. Along similar lines, there was the ability to sell one’s birthright and to claim a wife as a sister (mentioned three times: twice by Abraham and once by Isaac)—anciently, wives could be legally made “sister” in order to have more rights. How were late writers to know of these traditions and use them in just the right time period? Take also the references in the Torah to the pharaohs. They are never named—much to the chagrin of historians. Yet throughout the later books of the Bible, the pharaohs are named. This early omission of the pharaohs’ personal names was in keeping with the tradition of the time period. Pharaohs were referred to by their god-like title—not by their personal names. Yet later on, Israel was free of Egyptian captivity and traditions—and hence we see a referral to pharaohs by their names. How could post-captivity ghostwriters have known this tradition, and omitted the names, as well as then accurately bring them in at just the right time period for the later biblical books? Another reference: When the fleeing Israelites desired to return to Egypt and the food they received there—specifically, the “leeks and the onions” (Numbers 11:5). An Egyptian pyramid inscription records “onions and leeks” being fed to the workmen. How were late writers to know of the dietary habits of workmen and slaves in Egypt? 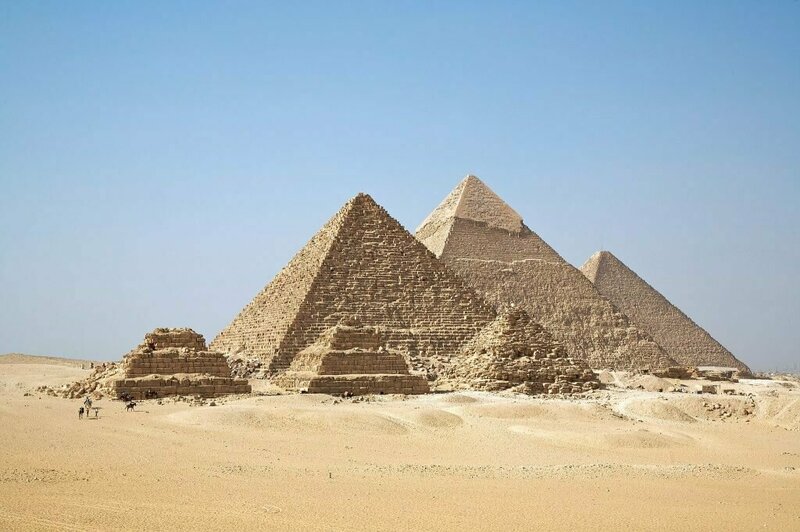 “On the pyramid it is declared in Egyptian writing how much was spent on radishes and onions and leeks for the workmen ….” –Fifth-century BCE historian Herodotus. Also consider that in the Torah, the Land of Canaan is described from an Egyptian point of view—illustrating what a portion of the land looks like by comparing it to a portion of land in Egypt (e.g. Genesis 13:10). This is the mark of someone who has been brought up in Egypt—i.e. Moses—not the mark of a postexilic writer in fourth-century Judea. Consider also the great detail given in the description of the Exodus route through the wilderness. The Land of Canaan, on the other hand, is described rather vaguely. Of course, Moses was not allowed to enter the Land of Canaan—thus, these kinds of textual descriptions make sense, rather than if they had been written by postexilic writers chiefly familiar with Judea. Further, the Torah contains a great listing of animals and even a tree used extensively by the Israelites leaving Egypt, all of which we know to be native to Egypt and the Sinai, not to Israel. Furthermore, the Torah accurately reflects the political situation of the time period—as confirmed by archaeology. Certain lands are described by their original early names. The Torah correctly portrays the original strength of the Babylonian and Assyrian empires up to Abraham’s day. It correctly portrays a turn of power toward a strong Egypt during the 18th to 15th centuries B.C., projecting power into Canaan. It correctly portrays the Hittite Empire’s expansion of power into Canaan, and accurate portrayals of the kingdoms of Moab and the Philistines. It accurately portrays early 14th-century Canaan, which was being overrun and totally conquered by “nomadic Habiru”—surely an allusion the Hebrews’ conquest of the Promised Land recorded as having happened at the same time. These are all specific, finicky details that ghostwriters would not have had knowledge of during their supposed postexilic time of writing. The main hypothesis for a late writing of the Torah, by many authors, is what is known as the Documentary/JEPD Hypothesis. “J” stands for the authors who preferred to use God’s name “Jahweh.” “E” stands for the authors who preferred to use “Elohim.” “P” stands for the priestly writers, and “D” stands for the Deuteronomy writers. There is not enough space to cover this theory fully here—and no real need. Because it certainly doesn’t account for all the special and specific textual references described above. Even the discovery of the Ketef Hinnom scrolls helps disprove this theory. According to the hypothesis, the portion of Numbers recorded on this scroll wasn’t supposed to have been written by the “P source author” until over 100 years later. This also creates some moral dilemma. Because the same authors writing the famous commandment “Thou shalt not bear false witness” (Exodus 20:16; Deuteronomy 5:20) would have then “borne false witness” by writing repeatedly that Moses wrote the Torah (e.g. Exodus 17:14; Numbers 33:2; Deuteronomy 31:9). And it would throw under the bus the rest of the biblical books and authors that say likewise (e.g. Joshua, Judges, Kings, Chronicles, Ezra, Nehemiah, Daniel, Malachi). If you would like more information, Craig Davis goes into great detail providing thorough evidence utterly disproving the Documentary Hypothesis in his book Dating the Old Testament (see here). This fantastic lengthy book goes through far more detail proving an early date for the Torah. The book actually covers the entire Hebrew Bible, providing convincing textual and archaeological evidence for each book having been written exactly when it says. As it turns out, there is significant evidence to say that it only makes sense for a very early writing of the Torah. Those who try to parse it are doing so with no real evidence to go on. There is nothing to say that the Torah couldn’t have been written during the 15th century B.C. by the hand of Moses. And there is a lot that says it should have been. Interestingly, the ancient, detailed “holy” writings of the Assyrians and Babylonians have been accepted—highly complex writings preserved in great detail—from a composition date before 2000 B.C. Why the constant arguments for such a late date of composition for the great Hebrew literature—particularly around the fifth century B.C. (post-captivity) or later? Were the Israelites so backward that it took that long for their already well-established civilization to produce a collection of treasured works? Of course, believing the literal account, and that the Torah was written by the hand of Moses, means believing in divine inspiration. And that is a step way too far for the critics. It seems that no amount of archaeological evidence—at least found thus far—can change that. But as time goes on, the evidence continues to mount for the early, traditional authorship of the Bible. We’ll see that as we continue our series, looking next at the second part of the Tanakh: the Prophets. 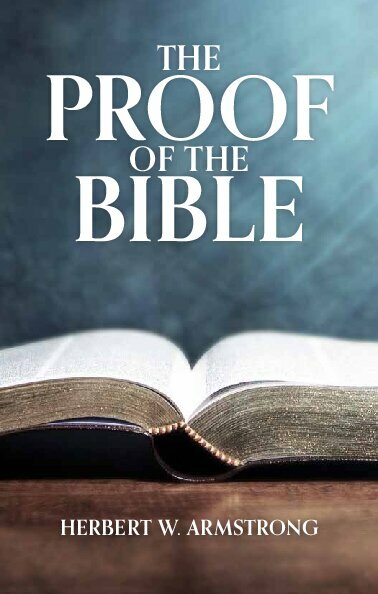 And for a wider look at the veracity of the Bible—to prove it for yourself—check out our free booklet The Proof of the Bible.